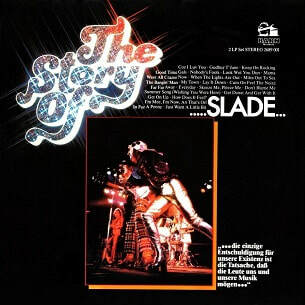 The Story of Slade is a compilation album, released by Barn Records in 1977. It contains twenty-four tracks spanning the band's career from 1971 to 1976, including A-sides and album cuts. As a German-only release, The Story of Slade was issued as a double vinyl LP and on cassette. Later in 1990, the compilation was given a two-part CD release on the German label Bear Tracks as The Story of Slade, Vol. 1 and Vol. 2.